InvestorCarrot is a website builder designed for the real estate industry. It enables realtors to create high performing and data-driven websites to help them get more leads. In this article, we cover user reviews and pricing. Ready to try InvestorCarrot? Request a demo. Users who gave InvestorCarrot a positive review said that the platform is easy to use and that the websites created are effective in getting potential leads. They also like the available templates and ready-made content that are real estate industry-targeted. One user who gave InvestorCarrot a positive review on a third-party website commented that the platform makes the process as simple as possible, offering users the layout (theme), free content upgrade PDFs, articles, landing pages, and more. There weren’t a lot of negative reviews about InvestorCarrot. One constructive review just mentioned that while websites created in InvestorCarrot get users leads and deals, they also need to invest time and effort to ensure that their websites are 100% optimized. Investor carrot has three paid subscription options. When billed monthly, the Core plan costs $49, the Content Pro plan costs $99, and the Advanced Marketer plan costs $149. The main differences between the plans are the number of websites and blog posts, the level of customer support, and access to premium features, such as campaign tracking links, & strategic support. Ready to try out InvestorCarrot? Request a demo. 6 Best Website Builders 2019: Reviews & Pricing Guide — In this guide, we compare the best website builder options for small businesses in terms of ease of use, pricing, and purpose to help you decide which one fits your business’ needs. Campaign Tracking Links: lets users easily determine which campaigns are producing the most results. Website Data Analytics: includes built-in analytics and tools that enable users to see which pages of their website are producing the most results. Keyword Tracking: allows users to easily track their SEO keyword rankings and view them straight in the InvestorCarrot dashboard. Carrot’s SEO Tool: enables each webpage to rank in Google and Bing with helpful suggestions and easy editing abilities for on-page SEO best practices. Social Media Integration: lets users easily share their content to their social media pages with share buttons. 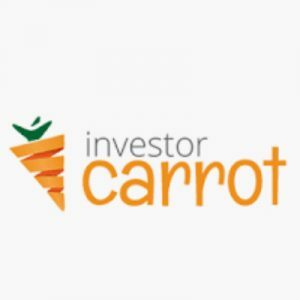 InvestorCarrot has a contact form on its website (where the support team replies five days a week, Mondays through Fridays). Users can also the company via email or Facebook. Yes, your websites will look and operate great on most smartphones available today. Not sure if InvestorCarrot is the right fit for you? Read our reviews of all top website builders.